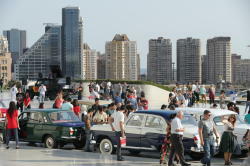 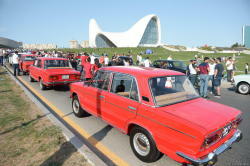 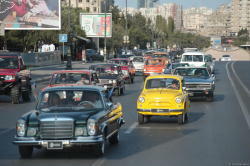 Azerbaijan's capital city has turned into a car museum in the open air. 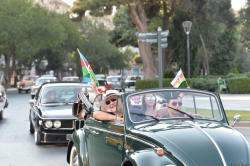 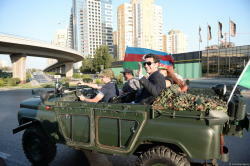 In the final days of summer, the Automobile Federation of Azerbaijan surprised thousands of Baku residents and numerous guests of the city with another unforgettable holiday. 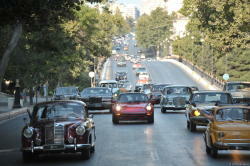 The annual exhibition of classic car, organized by the Automobile Federation of Azerbaijan, was held in Baku on August 26. 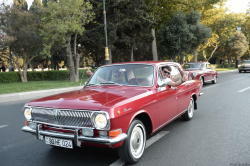 Fans of classic cars and owners of the classic cars manufactured before 1980 participated in the event, Trend Life reported. 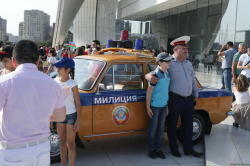 Some of the most fascinating cars such as Mercedes, Rolls-Royce, Mustang, Chrysler, Ford, Volvo, BMW, as well as retro cars "Pobeda" (Victory), "Zaporozhets", "Moskvitch" and other unique vehicles immersed car lovers in the nostalgic atmosphere. 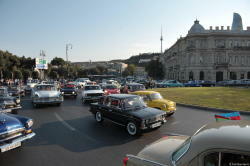 The parade continued along the central streets of Baku. 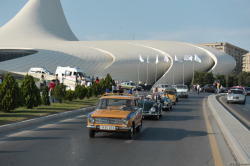 More than one hundred cars drove through the streets, returning to the Heydar Aliyev Center. 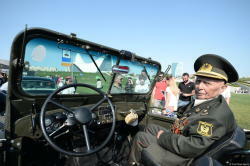 The oldest participant of the parade, 93-year veteran of the Great Patriotic War, an order-bearer and a fighter-bomber Damet Nabiyev, together with his grandson Kamil, drove UAZ-69, manufactured in 1956. 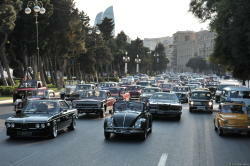 The 60-year-old doctor, Kamran Huseynzade took part joined the car parade with his BMW 321 (1936). 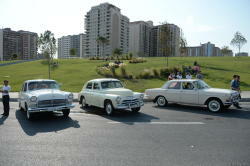 “Participation in the rally was a kind of a gift for the 60th anniversary. 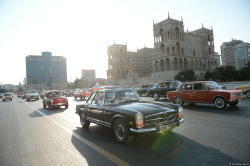 I bought the car twelve years ago in a bad condition. 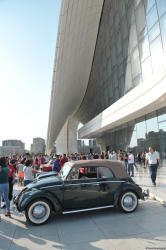 With great difficulty and patience I restored my car. 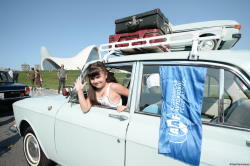 Now I go by the car together with my family. 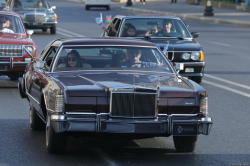 It is a great pleasure on the way everyone looks at my car,” he said. 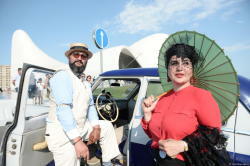 The 33-year-old Anar Abilov took part in event with his BMW 3 (1948). 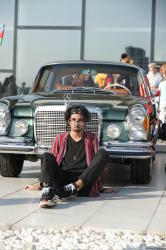 “Three years ago I bought this car, store it in the garage, but I decided to take part in the race with pleasure. 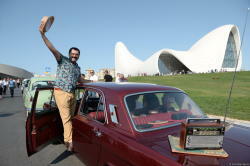 A wonderful holiday, which traditionally unites fans of retro cars,” said Abilov. 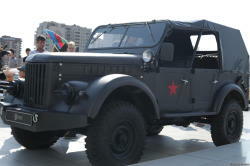 ZML "Moskvich 401" in 1949 is a family heirloom of the Knyazev family. 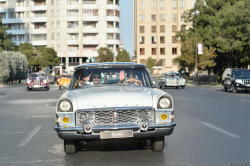 55-year-old Asef got it from his grandfather. 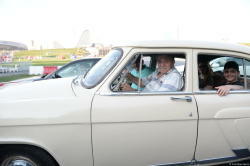 "The car is younger than me for 15 years and was purchased in 1950. 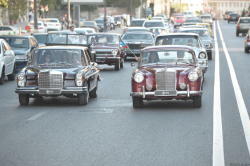 And what is most interesting, all the details have been never changed. 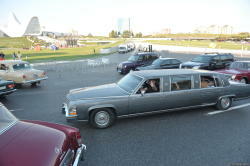 Sometimes I take part in various events, but only in the summer. 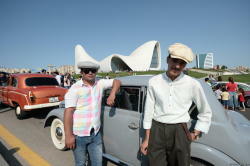 There is also another retro-car GAZ M-1 (1937) with factory details," said Asef. 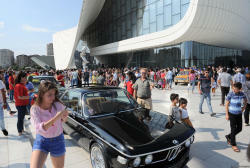 The event aroused great interest among the city's residents and tourists. 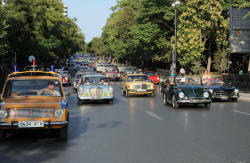 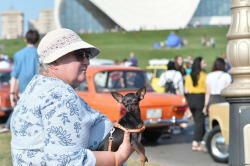 Russian tourists shared their thoughts about classical car parade. 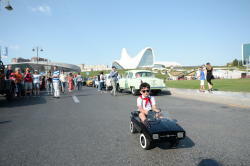 "It's not the first time we come to Baku, which is beautiful in its architecture and goodwill of people. A very cool car race, here we saw a lot of unique cars," they said. 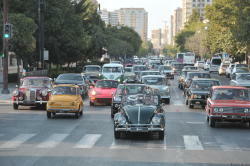 "For the first time we see the parade of classic cars, so I am very surprised and delighted. 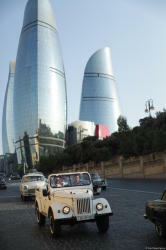 It is very remarkable that Baku differs not only in its beauty, hospitality and national cuisine, but also in such events," he said. 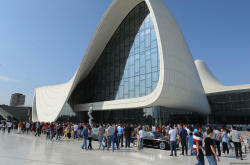 After the parade, a concert and entertainment program were held in the park of the Heydar Aliyev Center.